You've never toured Boston in anything that comes close to a Duck. 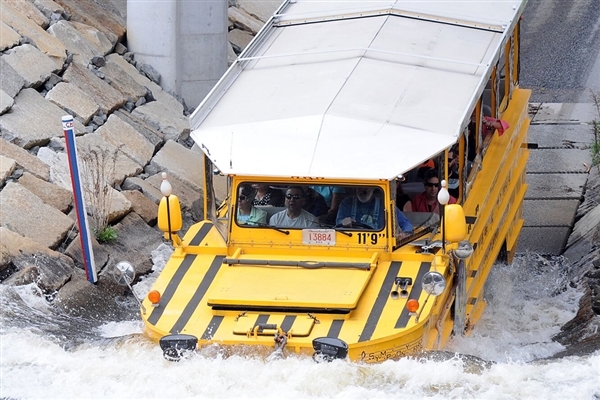 Join Yankee Trails on board this amphibious vehicle and see Boston by land AND sea! 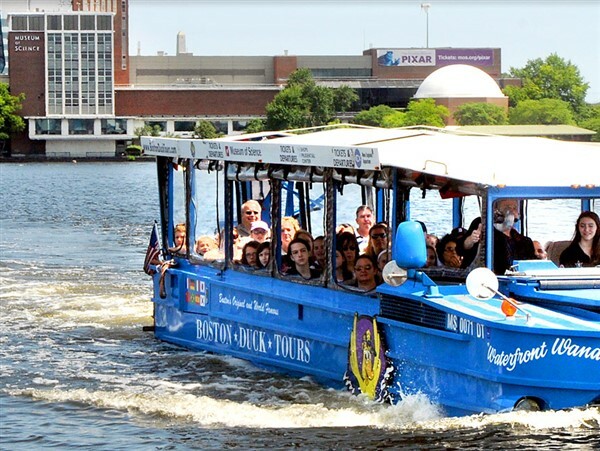 Board the Boston DUCK, a WW II style amphibious landing vehicle, for a 70 minute narrated journey like none other. 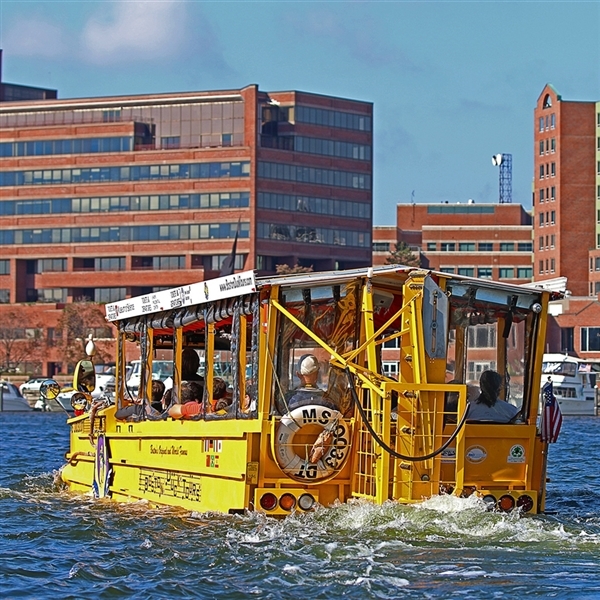 Drive by the golden-domed State House, Bunker Hill and the TD Banknorth Garden, Boston Common and Copley Square to the Big Dig, Government Center, fashionable Newbury Street, Quincy Market to the Prudential Tower, and more! Then Splashdown into the Charles River for a breathtaking view of the Boston and Cambridge skylines. 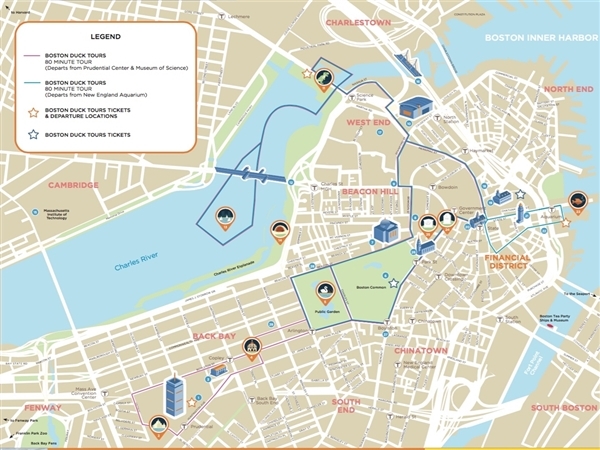 As the best of Boston unfolds before your eyes, your ConDUCKtor will share lots of little known facts and interesting insights about this unique and wonderful city. Most dates will depart at 12pm from the N.E. Aquarium (exact departure time subject to change, based on availabilty). Enjoy free time in Quincy Market before and after the tour/cruise for lunch and shopping. We depart at 6:30pm with an approximate arrival in the Capital District at 9:30pm. Non stop each way. 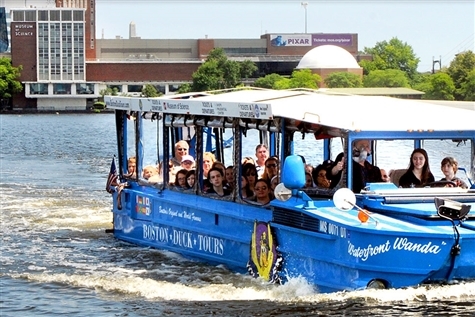 Tour may be combined with other Boston tours. Not responsible for traffic delays.